I would like more information about 217 West 14th Street, Unit 5R. A large 2 bedroom 2 bathroom duplex penthouse with two private roof terraces located in Chelsea. 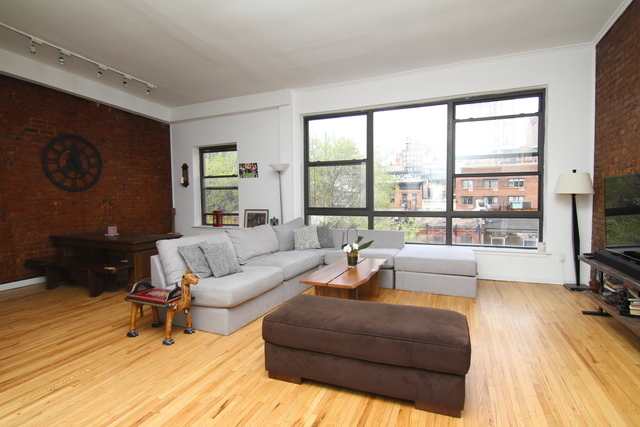 On the lower floor you will find a spacious living room area with soaring 12ft. ceilings. The oversized windows make this room very light and airy. The separate kitchen has granite counters and stainless steel appliances.